We offer leading credit card processing and point-of-sale systems at the most competitive rates in the industry. Allen, Morgan & Shields has developed strategic relationships with the industry’s leading credit and debit card processing companies to secure the most competitive rates. Stop passing credit and debit card fees to your consumers and raising prices. Keep your cost low and prices competitive by utilizing our card processing network. Allen, Morgan & Shields’ point of sale (POS) solutions help businesses initial and long-term operating costs and performance. AM&S strives to offer the most cost-effective point of sale solutions for your business. Available systems include Shopkeep, iConnect, rPower Restaurant POS, eProcessing, Harbortouch, and Groovv POS. There are many ways for a Client to reduce their Operations Cost. The first place to look are those line items that are variable and/or recurring monthly expenses. For example, Rent is fixed expense, and once negotiated, is a known monthly expense, whether you have business or not. On the other hand, an expense like credit card processing is a monthly recurring expense, and once the rate is negotiated, its’ cost can vary based on your business levels. The same is with your Energy or Electric cost. Each expense line item must by considered and focused on by the small business owner to maximize the profit from his or her business. One of the easiest ways for a Client to reduce their Operations Cost is by getting the lowest overall cost of service for their credit card processing fees. Credit card usage at your business is a double-edged sword. Yes, it costs money on a monthly basis to process credit cards, but try operating your business without accepting credit and debit cards, and just with cash and checks only, and you will find out in a hurry how important a Merchant Account becomes to your business! This is a matter of getting rates and fees from a multiple of processing companies and doing a comparison. Be careful that many processors will mask their real costs under headings that are nothing more than smoke screens to get to your money. Our credit card processing follow a simple formula, and it is called “Interchange Cost Plus Processing Fee”. Interchange Cost, or IC is a published rate by Visa and Mastercard, on their websites. Different cards carry different costs. 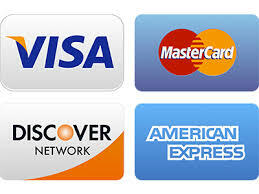 Our processing fee remains the same for each and every card, no matter what category it fall under. We assure you that IC Plus is the lowest cost type of processing available. We offer our Credit Card Processing Service with no long-term contract, only month-to-month, so we must remain competitive to earn your business every day. AM&S represents various Processors that have specific offerings for various type of merchants. We offer our Credit Card Processing Services for Retail, eCommerce, Mobile or using a Virtual Terminal. In the area of Business Operations and how to improve your bottomline, we at AM&S truly believe that with the current technology, not a single small or midsize business should operate without some type of a Point of Sale (POS) System. There are many types available on the market today, offering basically the same functions, but we offer those that are more cost-effective in terms of both the initial cost, ongoing cost, ease of use and above-average performance for your money. The various POS Systems we offer as “Value Added Resellers” essentially perform the same functions, but different types of businesses require certain different functionalities, e.g, a Salon’s needs are different than those of Convenient Store, but in all cases we provide a Turnkey service, offering software, hardware, customized programming, installation, training and “Go Live” support. Most systems though require a minimal amount of training and the merchant can begin using the system for increased profitability immediately. All POS solutions essentially provide the same funtions: Ringing up a Sale, keeping track of your customers, your inventory, your vendors, your employee hours worked and Reports that inform you of your business activities in real-time, allowing you to make business decisions based on facts and not guesswork, allowing you to improve your bottom line.